Listening to music is what we do on a daily basis, and also something we love at the heart. Regardless of the type of music we prefer to hear, almost all of us are fond of a great sound experience while listening to it. 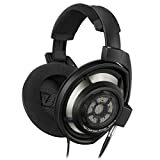 Hence, like most people, if you like to hear to music very regularly, you just cannot compromise on the headphone’s quality, as it is something that tremendously affects your music experience. In this technological era, you will come across many different types of headphones. From ones that cancel noise to those that isolate distractions, the process of finding and filtering headphones is easy said than done. In this article, you will read about the differences between noise canceling and noise isolating headphones. Noise canceling headphones are designed with in-ear and over-ear features. In-ear headphones are supposed to be placed inside your ears while the over-ear headphones would sit on top of your ear and en-cover the entire organ. In both cases, external noise will be cut down significantly. Experts consider this as passive noise cancellation. Likewise, you will come across things called as active noise canceling headphones. Their special structure is designed using a powerful electronic circuitry. The tiny-chip reads the presence of external noise and generates a sound wave to cancel the background noise. Active noise canceling headphones are fabricated by very few manufacturers. The special gear cuts-down background noise by nearly 98%! Hence, this kind of headphones would be an ideal addition in your travel kit. Moreover, these headphones will not irritate your ears or crank up your music experience. Noise canceling earphones are framed to block up to 20dB of background noise. However, noise canceling headphones have few unavoidable drawbacks. First of all, the system works well only for continuous sounds. For instance, it combats the humming sound inside an aircraft effectively. Nevertheless, they prove to be ineffective when there are multiple sources of external noise. Also, as the headphone ages, they slowly and gradually lose out on their potential to block external noises. This brings down the sound’s quality and fineness. These headphones also consume a considerable amount of power. Thus, they require you to carry rechargeable batteries with you. This makes the headphone much heavier than the conventional ones. Also, like a lot of people, if you are a music addict, you will have to charge them every now and then, which may get quite annoying at times. On the other hand, noise isolating headphones are designed for picky music-lovers. These headphones are based on a simple yet powerful strategy. 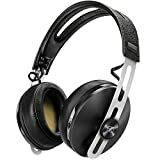 As suggested by its name, noise isolating headphones would block any noise that is coming from the ambience or speaker. Theoretically, this is an ideal technique, but the process of isolation can be very tricky. Before you buy a pair, you must check if it suits your ear, is comfortable and extremely easy to use. Noise isolation earphones must be placed inside your ear canals. They can be used as conventional earplugs. The exquisite headphones are made of foam and silicone rubber. Each of these materials would adapt to your ear’s overall structure and seal out external noise. Regardless of which type of music you love to hear, these headphones are probably something that won’t disappoint you, for they come with what it takes to provide a clear and exceptional music experience. Technically, noise isolating earphones from well reputed manufacturers can block up to 40dB of surrounding sounds. Noise isolating earphones are portable and extremely lightweight. It is recommended for individuals who tend to use their earphones while jogging, walking or probably even dancing. Moreover, you are not expected to carry spare batteries or worry about the headphone’s battery! Well, just one. Some people simply don’t prefer to wear them as they need to be placed inside the ear canal, and they aren’t quite comfortable with that. Furthermore, wearing the headphones while jogging or walking may get a big annoying when your ears start getting more sweaty due to placing them in your ear canal. In a nutshell, noise canceling headphones and noise isolating headphones will boost your music experience for sure. The noise isolating headphones are much more comfortable and convenient. However, those who hate the look of “ear-plugs” should probably opt for the noise canceling ones.